Computer Engineers are trained to solve problems in hardware, software, systems and networks that devices − from a laptop to an airplane − work properly. Computer engineers gain their unique expertise from both electrical engineering and computer science disciplines. The electrical engineering background integrates the theory and design of electronics hardware with the knowledge of electronic circuits and devices, digital logic, digital systems, microprocessors, embedded systems, hardware organization, and computer system architecture. 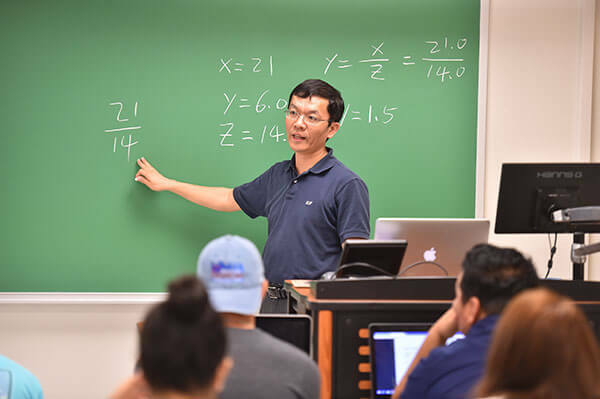 The computer science background includes software engineering, data structures and algorithms, operating systems, database design, programming languages, computer networks, and parallel computing. Students can also earn a M.S. in Computer Engineering or earn both a Bachelor’s and Master’s in Computer Engineering in our 5-year combined degree program. – Matteo Borri (B.S. ’07) – read his story. The career outlook is great for Computer Engineering graduates, with the Bureau of Labor Statistics predicting almost 10 percent job growth by 2020. Computer engineers work for the government and in industries such as telecommunications, computers, semiconductors, biomedical and aerospace, to name a few. Graduates of the Computer Engineering program at St. Mary’s have been employed by companies of all sizes, including Texas Instruments, IBM, Rackspace, USAA, National Instruments, Southwest Research Institute, Boeing and the University of Texas Health Science Center. In addition, many of our graduates go on to pursue graduate studies at prestigious institutions such as Stanford University, Rice University, Georgia Tech, Purdue University, Carnegie Mellon University and Texas A&M University. The Engineering Department also offers a unique five-year combined Bachelor of Science and Master of Science in Computer Engineering program. Undergraduate students begin graduate course work during their senior year and complete the master’s degree in the fifth year. In order to accomplish this, students must plan starting in their freshman year to allow for summer courses so that they can take six hours of graduate work each semester in their senior undergraduate year. Our program in Computer Engineering is accredited by the Engineering Accreditation Commission of ABET.